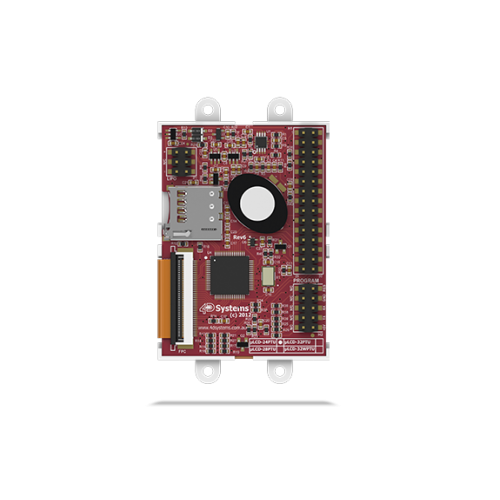 2.4" microLCD PICASO DisplayThe uLCD-24PTU is a compact and cost effective Intelligent Display Module packed with plenty of features, ready to become the GUI for your target application, and capable of being an interface controller for a number of applications. Embedded at the heart of the design is the PICASO processor, which is driven by a highly optimised virtual core engine called EVE (Extensible Virtual Engine). An extensive range of hardware and software peripherals have been integrated into the design, to give the user freedom to adapt the module to suit almost any application. The uLCD-24PTU is an elegant combination of a 2.4" (240x320) LCD Screen, audio amplifier and speaker, micro-SD card connector, Lithium Battery Support, along with a group of general purpose input/output pins (GPIO's), including I2C and serial COMMS. 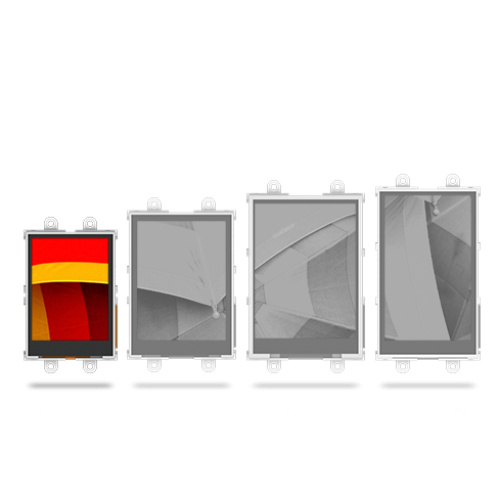 The uLCD-24PTU display module serves as a perfect solution to be deployed at the forefront of any product design, requiring a brilliance of colour, animation or images on any application. This PICASO driven Intelligent Display Module is a perfect example of where art meets technology.